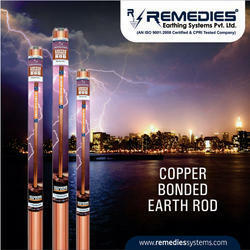 Earth electrode materials Quality earth rods are commonly made from either solid copper, stainless steel or copper bonded steel. Three types of Furse earth rod are available, but the copper bonded steel cored rod is by far the most popular, due to its combination of strength, corrosion resistance, and comparatively low cost. Solid copper and stainless steel rods offer a very high level of corrosion resistance at the expense of lower strength and higher cost. 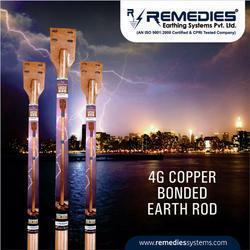 We are the leading manufacturer and suppliers of Copper Bonded Rod. Copper Coating withstands high corrosion Resistant. Comapct packing and ready to use solution. Product life upto 30 years. 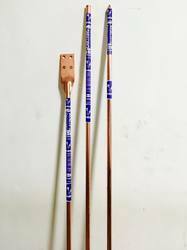 Looking for “Copper Bonded Rod”?